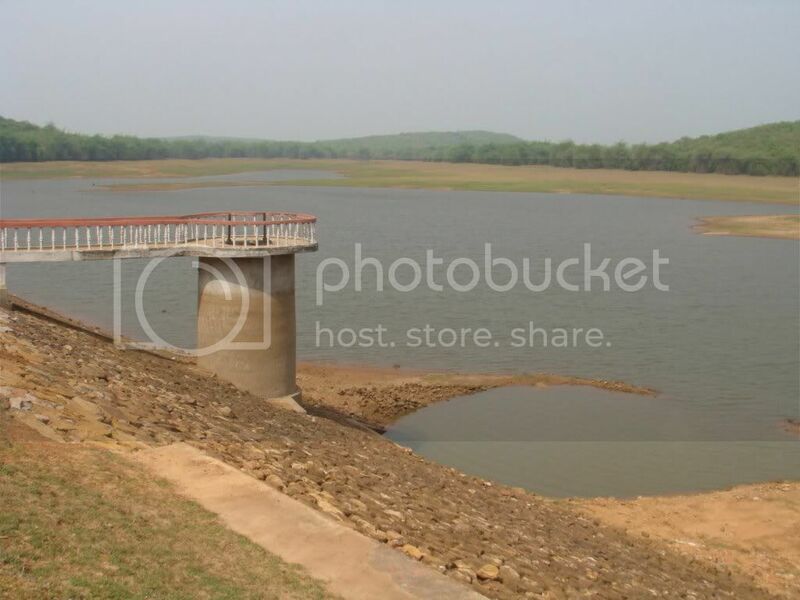 Deras Dam is situated in the Chandaka national park on the outskirts of Bhubaneswar, Odisha. To be precise about, it is situated 20 kms from Bhubaneswar main bus stand (Baramunda). Chandaka NP is spread across area of 94kms. This place is silent, serene and great weekend gateway. Also can be a great honeymoon gateway. Dam consists of rainwater reservoir, cottage on a hilltop and guided safari of around 40 kms. Different style shape of bamboo houses were present over there. Anyone who wants to take some rest can stay over there and spend some memorable time. The fresh environment of the place makes an ideal picnic spot with breathtaking view. It could be a magical and tremendous experience. Though chandaka is famous for elephants, presently spotting them is rare and difficult. An entry fee to the park is Rs20 per head. Timing is 10 am to 5pm. Reaching Deras could be a problem for outsiders as there is no signage on the way. So one has to navigate asking for direction and go by local village roads for good part of the journey. One way it takes one hour. Since the closing time of the dam is 5 pm so anyone can enjoy the scenic beauty during the day time. One can easily reach Deras from Bhubaneswar (only 15 kms) by two wheeler or four wheeler. However if you dont have one, you can opt for a hired vehicle. Its ever green place for nature lovers and photographers. For seeing the water flows then please go before Oct and after July. The hill near Chandaka Industrial Estate, famous for its deity Sikharchandi, with lots of greenery is a good place for tourist local people to spend time with near dear ones. This place provides people a better alternative to relax. For those who love non-veg this is the best picnic spot for them. The view of greenery all around gives a mesmerizing experience to the nature lovers. It is also a good destination for the peace lovers who are often seen here spending calm hours lost in the natures sight. The city police plans to increase patrolling and deploy personnel at these spots to keep vigil. As the picnickers before have indulged in rowdy activities now this place is fully secured as the cops are leaving no stone unturned to ensure that you enjoy your New Year picnic safely and incident-free. The best time to visit sikharchandi is during the winter autumn season to enjoy the beauties scenery of nature. Its good to have a tour with family as picnic or holiday trip. Driving directions to Sikharchandi road, Aryapalli, Patia, Bhubaneswar, Odisha 751024, and India. Barunei Hill is one of thefamous picnic spot. Every year thousands of tourists come here to enjoy its scenic beauty. The major attraction of Barunei Hillis Goddess Barunei. The Barunei Temple is located at about 150 ft high of the Barunei hill which is very near to Khurda of Odisha. The deities of the Barunei Temple are Goddess Barunei and Goddess Karunei. For identity between the two names the temple is known as Barunei temple. Many people knew Goddess Barunei as Goddess Arunei. The two idols of the two deity of this temple are made of Black granite stone (Kalamuguni Pathar). The left side is Goddess Barunei and Right side is Goddess Karunei. The height of each idol is about 18 inch. The two idols are wearing battle dresses. There is a story behind this. In Kanchi Battle God Jagannath and Balabhadra helped King Purusottam for winning the battle. It is believed that the two deities or Goddess killed many English soldiers at that time. After that the English soldiers came to know about that and planned how to decrease the energy of the Goddess and also did that successfully. After that the King got defeated. There are also some other tourist spots present on the Barunei Hill such as Pandava Cave, Pandava Guha, Pandabahara etc. It is believed that God Rama Chandra lived here some days at the time of his Unknown living. The stone on which God Ram Chandra lived is known as Shree Ram Stone (Shree Ram Pathar). One day after cooking Goddess Sita washing the pots and told ldquo;till the earth is there the water of this place will not dryrdquo;. And it is true that even in summer days the water of this place does not dry. The length of the Barunei hill is about 7km and breadth is about 800m. There are about 88 steps you have to cross to go to the Barunei and Karunei temple. The height of this hill is about 304.8m and about 150m above the ground level the Barunei temple is situated. There is also a Guest House here. Every year during Raja a very big festival is celebrated at this place. Besides that in winter season during X-mas and New Year time picnickers flock to this place in great numbers. Non- veg lovers choose their picnic destination here and have a great time far from routine life to enjoy the natural scenic beauty. This Barunei Hill of Odisha is situated at about 25 km from the Barmunda Bus stand of Bhubaneswar, Odisha. You can go to this Barunei Hill of Odisha by Taxi from this Barmunda Bus stand and if you want to travel by Train then the nearest railway station of Barunei Hill of Odisha is Khurda Road. The distance from Khurda Station to Barunei Hill of Odisha is about 13kms. Kenduli Sasan is a village in the banks of the Prachi River (a Triveni sangam) in Khurda district. It has recently been recognized as the birthplace of the well-known Sanskrit lyricist, Jayadev known for his magnum opus ldquo;Geeta Govindardquo; (12th century). This village appears to have been a center for Hindu literature during the 10th and 11th centuries. Jayadev himself refers to his birthplace in the seventh song of the Gita Govinda as Kenduvilva, located by the sea ldquo;Kinduvilva samudra sambhava Rohini ramanenardquo;. Kenduli Sasan has several brick temples and sculptures dating back to the time of Jayadev in the tenth and eleventh centuries A.D. In fact, several such temples belonging to Jayadevs period have also been excavated here by the Archaeological Survey of India including statues belonging to Jainism Buddhism. The Jayadev Pitha is maintained by Odisha Tourism Archeological Survey of India. The artificial water way is named Yamuna River. Apart from it, theres a scenic man-made pond inside the Jaydev Pitha called ldquo;Padmavati Pond which has the image of Lord Krishna dancing on the multi-hooded tamed serpent lsquo;Kāliyā. 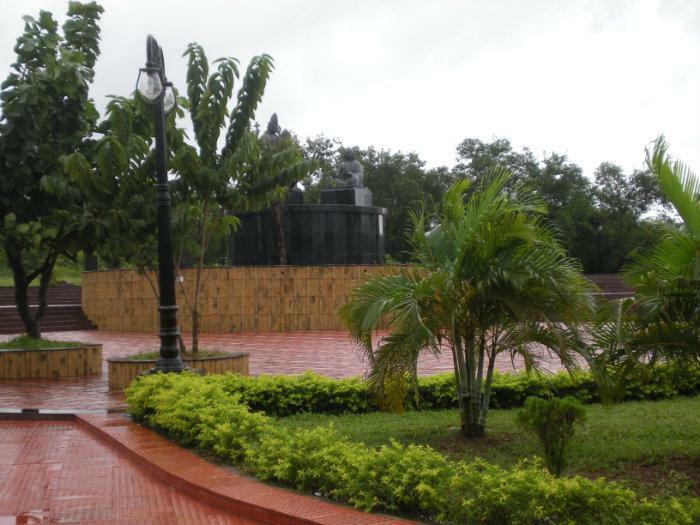 The huge artificial garden inside the complex is called Jayadev Heritage Garden. It is a very beautiful pond attracting the visitors. Theres lsquo;banabhoji (picnic) facility available inside the garden at a nominal fees. 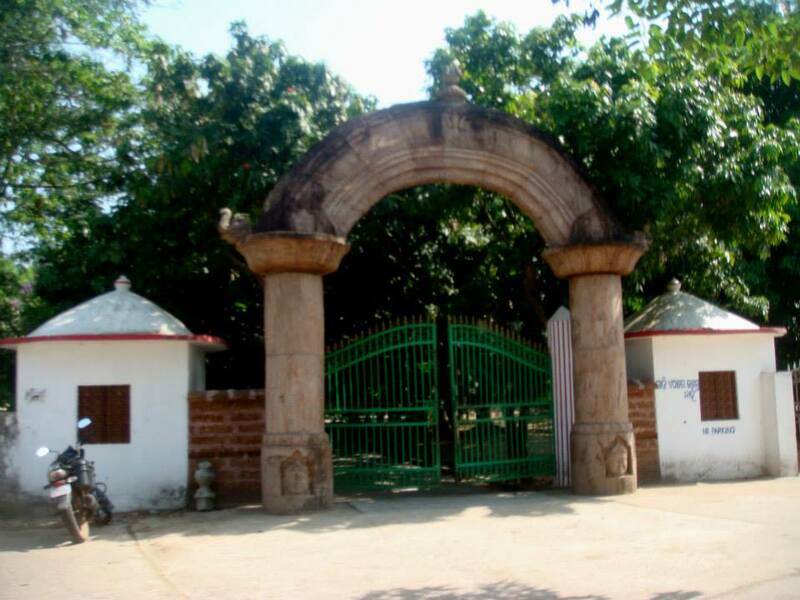 The Jayadev Sanskrutika Parishad, a cultural organization, has established a museum here containing images and other archaeological relics excavated here. An annual cultural function in honor of the poet Jayadev is organized at Kenduli. On Akshay Trutiya day, which falls on the poets birth day, a two-day procession is taken from Bhubaneswar to Kenduvilva, the poets birthplace. Vani Vihar Rail Way Station, Mancheswar Rail Way Station are the very nearby railway stations to Kenduli.How ever Bhubaneswar Rail Way Station is major railway station 7 KM near to Kenduli. Bhubaneswar Railway station gt;gt; Rasulgarh gt;gt; Naharakanta Road gt; gt;Jagannathpur gt;gt; Kurang Sasan gt;gt; Barahipur gt;gt; Kenduli Sasan. This place is very famous for temple Ugra Tara. This temple is located in between Rameswar Chowk and Chandpur. The icon of Mother Tara is Chaturbhuja, holding potent weapons in her hands. She is very popular as Ugratara due to her fierce aspect, but benevolent to the adorers. Ugra Tara is the presiding and the protecting Goddess of the fort of Mulajhargarh, which is just in the border of Chilika Lake. Hence this place is famous for fishermen#39;s ground, because Chilika Lake is nearby to this village. Even though in course of time this fort of Odisha has been lost to oblivion still then Goddess Ugra Tara, the deity of the fort is worshipped by Brahmin priests under Tara Mantra and offer Her with cooked vegetarian and non-vegetarian items, and preserve Her glory and popularity which still continues as the presiding Goddess of coastal Odisha. This spot is an ideal place for picnics. Bhusandpur is about 50 kms by road from Bhubaneswar, which is a scenic spot frequently visited by tourists and picnickers. It is beautiful natured location for movie shooting also. Devotees from almost all parts of Odisha, visit this holy shrine every day. The shrine draws huge crowd throughout the year. Especially on Raja Parba in the month of June, it is one of the most famous festive occasions of Ugratara Shaktipitha. Narayani Temple is one of the sacred places of high religious significance. The temple is dedicated to Goddess Narayani, manifestation of Durga. A beautiful figurine of Goddess is enshrined in the sanctum, which draws attention of the travelers. The shrine is in the lap of Valery Mountains of Eastern Ghats and is one of the famous picnic spots of the region. Besides, there is a perennial spring and green mango groves at the site that draws attention of the tourists. Narayani Temple is located at a distance of 7 kilometers from the lake and is well-connected with several public transportation modes. Picnickers can be seen in large numbers during the winter season. Spread over a vast space of 400 acres or 990 acres, these gardens include the Kanjia Lake of 134 acres, zoo, sanctuary and botanical gardens strategically located in Bhubaneswar, the capital of Odisha, this garden was opened for public in 1979. Though established in 1960, this garden was initially a zoo which later on became the first Indian zoo to be recognised on International Forum by inclusion in the World Association of Zoos and Aquariums in 2009. The literal translation of Nandankanan Gardens means the gardens of Heavens and is located in the peripherals of Chandaka forest. The gardens have a footfall of 2 million visitors of tourists every year. This place is also a picnic destination for the people. Every year during winter season this place attracts a large number of picnickers who enjoy a day out with their near and dear ones and have a beautiful time away from daily routine time. The park is on the hills of Khandagiri hills. It retains the trees of old Chandaka sanctuary. It has large lawns to relax. The park is spreads in an area of 100 acres. It has abundant of trees. It has forest area earmarked for picnic. Visitors can cook their food in the park area under the large trees. The park has water points at different places for the picnicking community. The park has artificial streams to make the place romantic. It tries to make the place as romantic as Brindavan, the garden where the mythological character Krishna made romance. The park is a host to many birds, snakes and jackals. Its on the boarders of the elephant Chandaka elephant sanctuary.